If you need help understanding the property licensing rules in Tower Hamlets you have come to the right place! We are experts in housing regulation and have produced this free guide to help you understand the council’s property licensing schemes. To help set the scene, the London Borough of Tower Hamlets is in East London covering an area of 8 square miles. It is bordered by the boroughs of Hackney to the north, Newham to the east, the City of London to the west and with the River Thames to the south. According to the 2011 Census about 33% of the housing stock was privately rented which is significantly above the London average of 25% (1 in 4). You need to study the arrangements carefully as there are three different licensing schemes in Tower Hamlets. You may need a licence if you rent your property to a single family or individual as Tower Hamlets Council have implemented a selective licensing scheme in certain parts of the borough. The scheme came into force on 1 October 2016 and last for five years until 30 September 2021. If you rent your property as a House in Multiple Occupation (HMO), you will need to get it licensed under either the additional licensing scheme, the selective licensing scheme or the mandatory HMO licensing scheme that applies throughout England. The additional licensing scheme started on 1 April 2019. The additional licensing started on 1 April 2019 and continues for five years until 31 March 2024, unless the council decide to implement a replacement scheme. It applies to all HMOs in the borough that are occupied by three or more people, except for those in the pre 2014 wards of Weavers, Whitechapel, Spitalfields and Banglatown. In effect, the scheme excludes the area already covered by their selective licensing scheme. The council have simplified things slightly by restricting the licensing of section 257 HMOs to situations where all the flats are privately rented. This is a complex area of law and you may need further advice. You need a selective licence if your property (house or flat) is let out to a single person, couple or single household in Whitechaple, Weavers, Spitalfields and Banglatown, based on the council ward boundaries that existed pre 22 May 2014 – in the west of the borough. The selective licensing scheme will also apply to most HMOs in that area that are not already licensed under the mandatory HMO licensing scheme. To find out if your property is in one of these areas, you can carry out a postcode search on the council’s website. It depends on what type of licence you are applying for. The fee is £538 (was £525 in 2018/19, £520 in 2015/16, £422 in 2014/15) for an online application plus £36 (was £35 in 2018/19, £29 in 2014/15) for each habitable room. So, it would cost £718 for a three storey shared house with five single person lettings and no communal living room. It says you must pay a £31 administration fee if you want to pay the application fee in two instalments. Whilst the fee rates are below average for the London boroughs, it does say on the website that you need to re-licence after three years rather than the five year licences issued by most councils. There is a fixed fee of £520 for an online application, with an extra £31 administration fee if you want to pay the application fee in two instalments. The fee is £532.50 (was £520 in 2018/19) for an online application, with an extra £31 administration fee if you want to pay the application fee in two instalments. We understand that licences will normally be issued for 5 years, although if two warning letters have been sent, the council say you will only receive a 1-year licence. The website doesn’t list any discount for accredited landlords, which we think is a shame. For all three licensing schemes, there are various extra charges if you submit only a partial application or apply by post. The fees we have listed are correct as of April 2019 but could be subject to change in the future. You can view the licence application fees on the council's website. An online application process has been introduced for the mandatory HMO, additional and selective licensing schemes. You can apply by visiting the council’s website. You will need to submit various supporting documents with your application so it is important to read the instructions carefully and make sure you’ve got all your paperwork ready. Yes, new private rented housing property standards have recently been published on the council’s website. When you click on the link, you can find them listed under ‘Property Licensing Conditions’ at the bottom of the page. The number of licensed HMOs has been gradually increasing. In March 2015, Tower Hamlets Council told us they had licensed 132 HMOs. By February 2016, the number had risen to 201. By February 2017, there were 273, by March 2018 there were 292 and by November 2018 there were 316 licenced HMOs listed in the public register. In February 2017, the council told us they had received approximately 2,100 applications under the selective licensing scheme of which about 1,000 have already been approved. By March 2018, the public register listed around 3,350 selectively licensed properties and by October 2018 the council said they had received about 5,000 applications. Tower Hamlets Council keeps a public register of licensed properties that is regularly updated. You can view the property licensing register here. Once you click on the link, scroll down to the section ‘Will my details be available to the public?’. Yes, there do seem to be. In March 2015, Tower Hamlets Council told us they think there could be about 1,400 properties that are covered by the mandatory HMO licensing scheme. In a Cabinet report dated 31 October 2018, the council anticipate a further 9,000 properties will require licensing under the council’s new additional licensing scheme. The council also think there could be around 6,000 properties that need licensing under the new selective licensing scheme, so there are still thousands of properties where no licence application has yet been submitted. It shows there is a huge amount of work still to be done. Tower Hamlets Council told us they had took thirteen successful housing prosecutions over the three years from April 2011 to March 2014. A further two prosecutions were taken in 2014/15, two in 2015/16 and six in 2016/17, so they are quite busy when it comes to enforcement action. We expect this uplift in housing prosecutions will continue with so many unlicensed properties still out there. Tower Hamlets Council did not obtain any Rent Repayment Orders from the landlords of unlicensed HMOs over the six years from April 2011 to March 2017. This is based on data published by the Courts and Tribunals Judiciary. Whilst we don’t have any figures for the NLA or RLA schemes, we have got information about the London Landlord Accreditation Scheme that is supported by all the London Boroughs. In January 2016, they told us there were 618 accredited landlords in Tower Hamlets, which was the 8th highest out of all London boroughs. By January 2018, that figure had increased to 725 and by January 2019, that figure had increased to 897, which is well above average when compared to all the London boroughs. To find out more about becoming accredited, you can visit the London Landlord Accreditation Scheme website here. The council recently carried out a consultation on plans for an additional licensing scheme that would cover most of the borough, except for the area already covered by selective licensing. The consultation took place from 1 March to 24 May 2018 and the additional licensing scheme started on 1 April 2019. There is clearly a lot happening in Tower Hamlets so we will monitor the situation closely and will keep you posted. In February 2017, we checked with Tower Hamlets Council and found that there is currently no HMO Article 4 Direction in force. 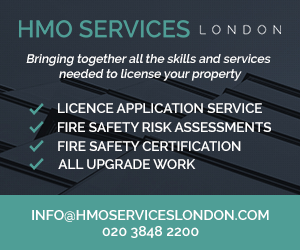 The mandatory HMO licensing scheme applies borough wide and a selective licensing scheme covers part of the borough. An additional licensing scheme started on 1 April 2019.